Crossing the Mackinac Bridge in Northern Michigan, June, 2010 (I found the town kinda creepy, maybe it was the rainy weather, but it seemed a bit like a ghost town). Just go somewhere this summer! Three more sleeps until vacation time! I can’t wait. I didn’t take as much time off this summer as I normally would for a variety of reasons and I’m ready for a change of scenery. I have my books picked out, I have some new music and made some new playlists (I’m big on playlists) and am starting to pack. Things are coming together. 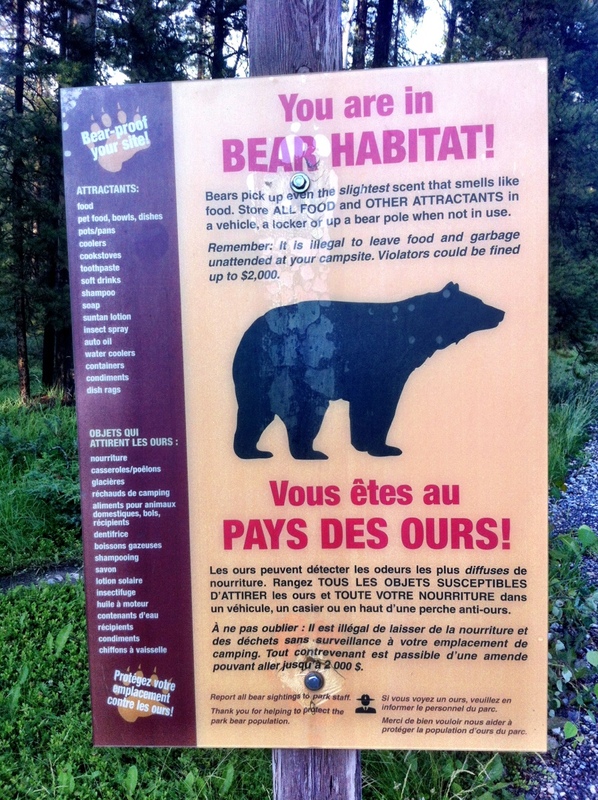 The sign that greets campers at one of the campgrounds in Jasper National Park. One road side bear sighting so far – I’ll post the pics when I get home.